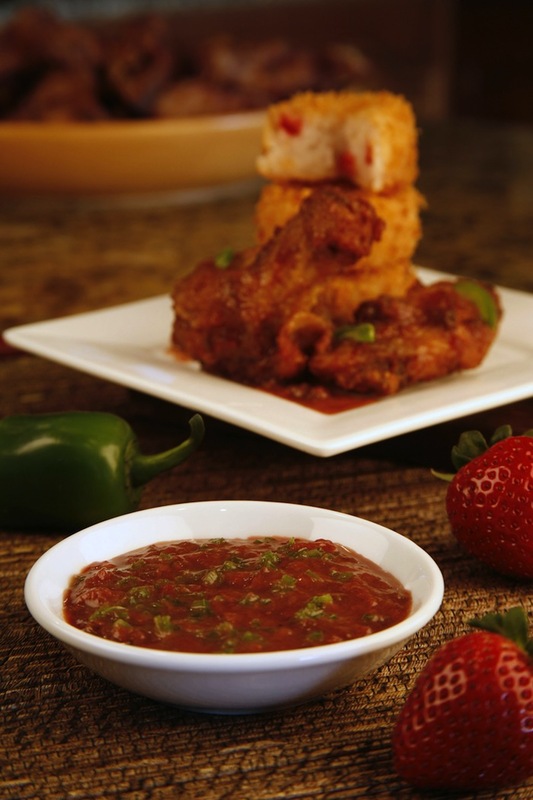 Strawberry Jalapeno Chicken Wings is a fun, zesty twist on a classic American favorite. Make these wings on game night, before a party, or when you’re hungry and want to please a crowd. There are a couple of Strawberry Jalapeno Chicken Wings recipes online. I urge you to give this one a try because it’s been loaned to us by the strawberry experts. Adding strawberries to a dish is an excellent way to increase vitamin C in a diet. A serving of eight berries has 160% of the Daily Value of vitamin C, and they are also a source of fiber and folate. 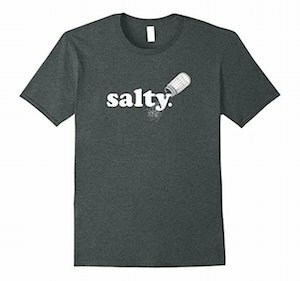 It’s a welcome flavoring that few people seem to take advantage of. But it’s time you start to diversify your palate. Wash chicken wings. Combine cornstarch, salt and pepper. Mix well. Toss the chicken wings in the cornstarch mixture until all are lightly coated. Place on single layer on a sheet pan. Spray lightly with cooking spray. Place in a 375 degree oven for 40 minutes. boil. Reduce to simmering, stirring occasionally until a sauce begins to thicken a little. Coat chicken wings with hot sauce.